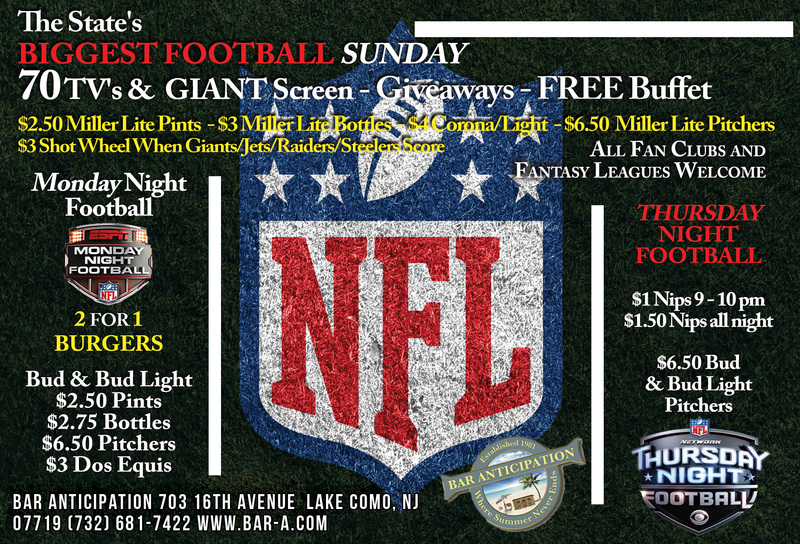 The Best Place to Catch all the NFL Action! EVERY GAME – Catch all your Football action every week on over 70 televisions with a huge sound system. 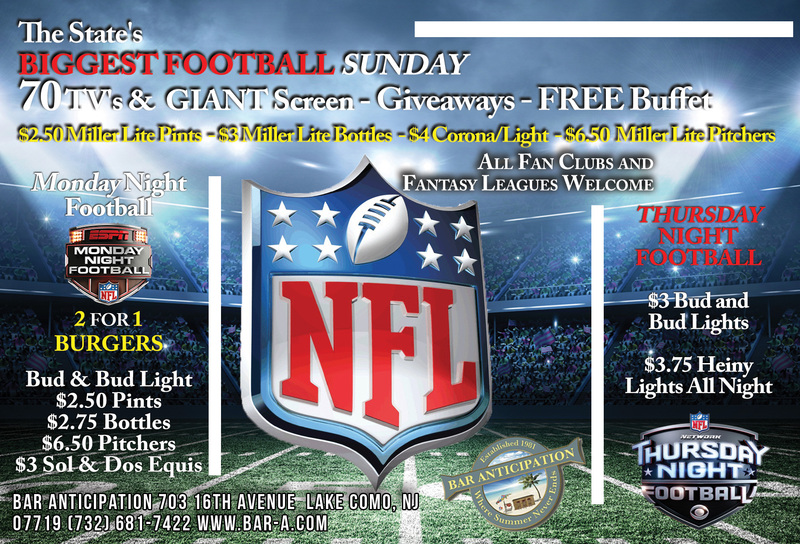 Enjoy mouth-watering food from an amazing menu and specialty football menu. Take advantage of great drink specials and grab a prize or giveaway. Fantasy football leagues welcome. Special areas for fan clubs. See flier for details. Quite simply the biggest and best football party anywhere! Next Post: Every Saturday is Time for a Special Girls’ Night Out!